I used to be a dog person. I had grown up alongside dogs (an Irish setter and Labrador retrievers), and I certainly never expected to get a cat. I wasn’t crazy about the idea of having litterboxes in the house or feline footprints on the kitchen counters, and cats didn’t strike me as very interesting or friendly. Today my family has four cats and three litterboxes. After we decided to go for it, I spent for hours online looking for the right cat. We went to a shelter nearby, the Montgomery County Humane Society, but we didn't "click" with any of the kitties. Then we tried the Animal Welfare League of Alexandria, and there we met Brad and Angelina, a pair who had come in together when their former owners moved. They were cute and seemed friendly and playful. We considered another pair—two orange brothers—but after spending a little time with everyone, we filled out an application for Brad and Angelina, and soon, we brought them home. We had filled a sheet of paper with possible “pair” names (“Brad” and “Angelina” definitely had to go), and we finally settled on Harry and Sally. (I love using “people names” for pets—how about you?) They settled in quickly, and soon ... I became a cat person. 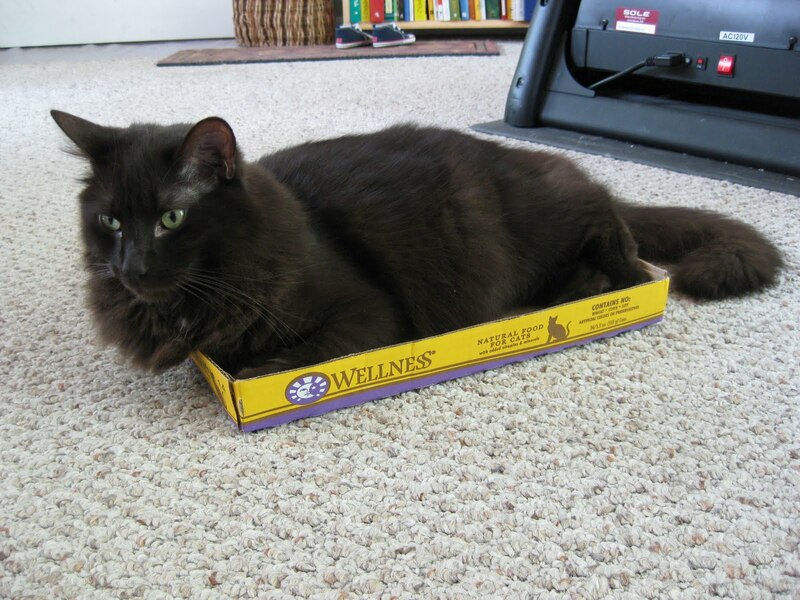 "I'm Zico in a box. I'm Zico in a cardboard box." Two years later, we were living in New York, and I was working at an animal shelter (where I still work today). Two four-month-old kittens named Cadbury and Snickers—they’d been abandoned and brought to the shelter—were temporarily living in my office, and I quickly fell in love. Now, I LOVE kittens, but I’ve met many kittens since, and none of them have produced the same reaction as these two, which was “MUST. ADOPT. 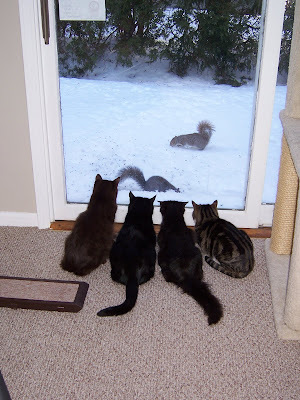 THEM.” And soon, we had doubled our cat population. Cadbury and Snickers became Zico and Diego—we named them after soccer players because of the way they played with their cat toys. So, in a span of several years, I’ve transitioned from “dog person” to “person who lives in a home with more cats than people." (The ratio is four to three.) Although we spend a LOT of money on chicken-flavored cat food and have found fang marks in many of our prized possessions, I don’t know what we’d do without our cats.